The Zubeida Agha Archive includes a selection of published texts, catalogues, administrative documents, clippings, and miscellaneous ephemera surrounding the legacy of the Pakistan modern artist Zubeida Agha (1922-97). The materials, taken exclusively from her Islamabad studio and residence, sheds light on Agha’s work as a patron and founding member of Pakistani art institutions, and provide insights into the foundational years of the country’s art scene. Born in Lyallpur (present-day Faisalabad) in 1922, Agha belonged to the first generation of modern painters in Pakistan. 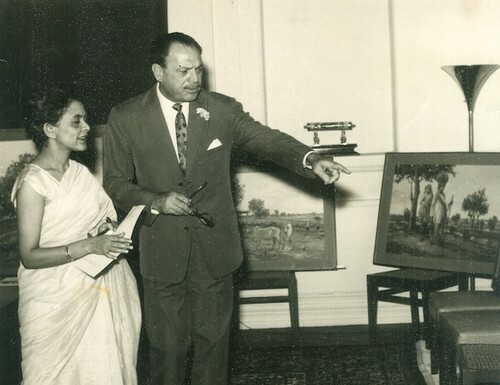 She was instrumental in founding and running Art Galleries, Society of Contemporary Art, considered to be the first art gallery in the country, which became a hub for promoting emerging and established artists across East Pakistan (present-day Bangladesh) and West Pakistan. Later she helped set up Pakistan’s National Art Gallery, which finally opened in 2007 — ten years after her death at the age of seventy-five. 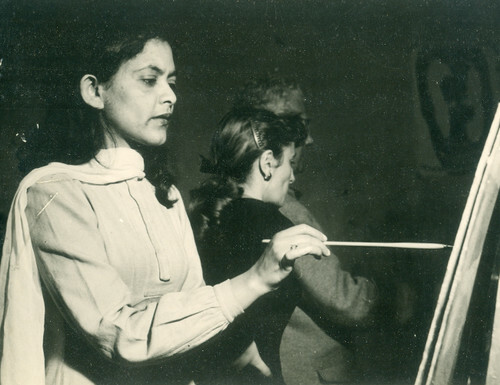 The archive explores four areas in Agha’s career: the formation of the early fine art societies; the establishment of Art Galleries, Society of Contemporary Art; the inception of the National Art Gallery; and an introduction to Zubeida Agha’s own practice as a painter. This research project was made possible through the Lahore Biennale Foundation Research Fellowship Award that was granted to Saira Ansari in its inaugural cycle. The digitisation of the material was done with the support of The Citizens Archive of Pakistan (Pakistan), in conjunction with Asia Art Archive (Hong Kong). The project was supervised by Ifikhar Dadi (Associate Professor, Department of History of Art, Cornell University).